I enjoy working in Kensal Rise for many reasons one being its closeness to such cool places like Portobello. Having found out that the co-founder of the yoga teacher training school Yoga London lives just there is a great excuse for me to detach from the usual work surrounding and get some inspiration. 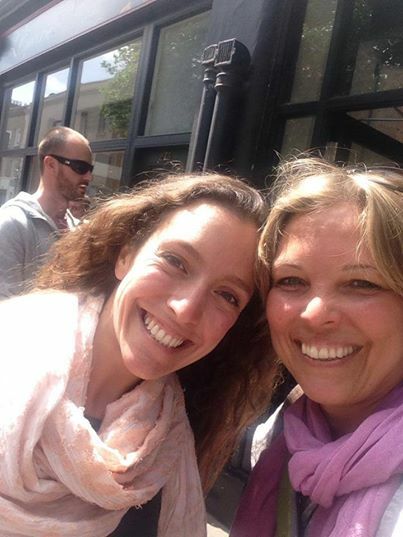 Rebecca Ffrench has been in an incredibly successful journey with Yoga London and has created, with her co-founder, a business of wellbeing and positive energy. I myself give a module on ayurveda in this teacher-training course of viniyasa style. Having been there since the beginning I have come to greatly admire Rebecca for her achievements and am happy that now she lives around the corner and we can share a cuppa down Portobello. Nowadays, Rebecca does not do much teaching in the school but has moved into marketing and managing of her business including creating a retreat and training space in nothing less than Equador. They have already organised one teacher training this year in this wonderful eco-resort, rustic and close to nature, perfect for a yoga enthusiast who wants to get in touch with the real things. Rebecca is clearly very happy about finding this resort so I recommend everyone to have a look at the highlights in here. I think you’ll start feeling the same. P.s. If you feel inspired to sign into the Equador course or retreat do mention you got the pointer from me.